Sports Tether Ball Has Reinforced Rubber Cover For Lots Of Fun Play. 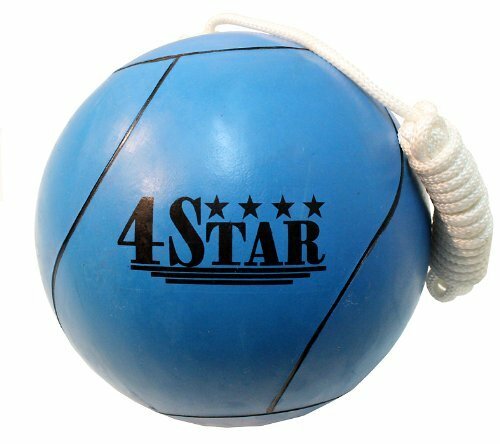 This Ball Is Made Of Top Grade Rubber Covered Tether Ball With Nylon Rope, With Recessed Rope Attachment. It Has Strong Optic Yellow Color That Makes It Easier To Follow During Play. Included A 11 Feet Regulation Rope. This Ball Will Be Shipped Uninflated. Official Weight & Official Size 7. Professional Design, High Quality, Fast Delivery. Available In Various Colors. Deluxe Premium Quality. If you have any questions about this product by Lastworld, contact us by completing and submitting the form below. If you are looking for a specif part number, please include it with your message.